Thomas Augustus Kirkland was born October 23, 1845 in Mississippi. 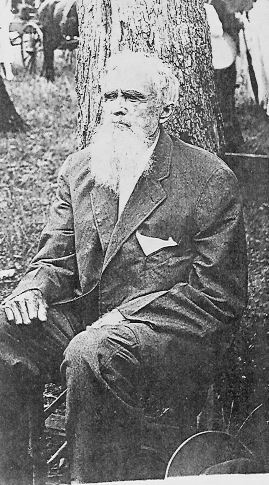 He and other men in his family fought in the Civil War with the Confederate Army. After losing, he and many other Confederate soldiers were left with nothing so relocated to Texas in hopes of building a new and better life. their money and purchased a little bit of land east of Waco. 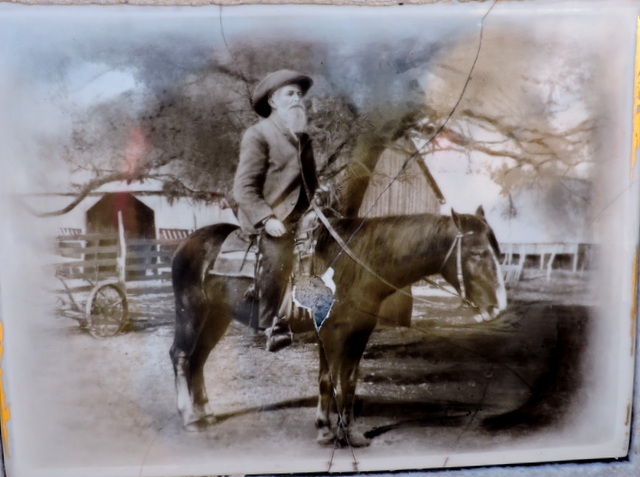 Thomas set about farming and raising livestock while steadily growing his property until the Kirkland Ranch amassed almost 4,000 acres in McLennan, Hill, and Limestone counties. The Kirklands were also members of Mt. Calm Masonic Lodge #204 which is no longer in operation. In 1869, Edward relocated with their father and some of their other relatives to the Gatesville area but Tom remained at his ranch near Mt. Calm for the remainder of his life. Brother Tom was buried in TK Cemetery at the TK Baptist Church halfway between present day Axtell and Mt. Calm. The name “TK” alludes to Brother Tom himself who donated land to the local community when the railroad reached that area in the late 1800s. A small town sprouted up and was name TK, sometimes spelled Tekay or T.K. in honor of his contributions to its founding. The town itself was short lived but the church that used his name continued for quite a while. In front of it was the cemetery with a large monument honoring Brother Tom. The monument remains and has a photo of him on a horse which can be seen here. Today, the church building is gone but the cemetery and Tom’s monument are still there. Tom had a younger cousin whose name was Thomas W. Kirkland. “T.W.” was a prominent citizen in his own right and also a member of Waco 92. T.W. came to Texas when he was a young boy. His father had been a famous Mississippian named Bob Kirkland. Bob had been a sheriff and congressman and was expected to become Governor of Mississippi until he was killed via a stray bullet from a duel in 1860. Shortly thereafter, the Civil War cost the remaining family much of their wealth so they moved to Texas with other Kirklands in 1867. T.W. eventually made his home in Gatesville where, after joining Waco Lodge #92, he became a Past Master of Gatesville Lodge #197. TW became a successful pharmacist and had a drugstore in downtown Gatesville for a number of years. In 1897, he was part of the cornerstone leveling procession for the Coryell County Courthouse which was designed by fellow Waco 92 Brother W.C. Dodson. Records show that TW placed two boxes of medicine inside the cornerstone alongside items put in by other area masons.